Truly wireless earphones are among the hottest tech gadgets right now. Some models – Apple's Airpods come to mind – offer comfort and an excellent casual-listening experience; others, like the Jabra Elite Sport, focus on delivering function to the sports-minded among us, adding features like heart-rate sensors and activity tracking. 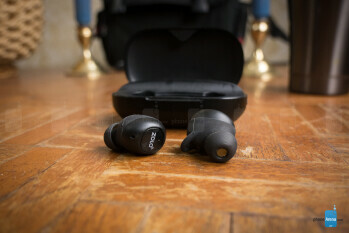 Anker's Zolo Liberty+ earphones land somewhere in the middle. Offering IPX5 water resistance and 3.5-hour battery life (with an additional 48 hours provided by charging case), the compact Zolo Liberty+ earphones seem to find quite a sweet spot, selling for $149.99. 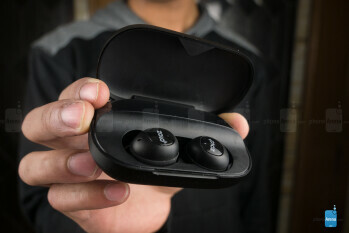 The Zolo Liberty+ earphones have a rather plain, all-black design, with large, glossy buttons sporting the “Zolo” logo and taking up the majority of the outer side on each earphone. These buttons, unfortunately, had very different tactile feedback, or at least they did on our unit. While the button on the left earbud produced a satisfying click, and we could easily press it without digging the earbud into our ear, the button on the right earbud was so mushy that it felt as if there was no button at all. While this problem may not be so evident on other units, it's also possible that some may exhibit it to varying degrees. In terms of overall feel, the Liberty+ earphones are light, small, and well shaped. 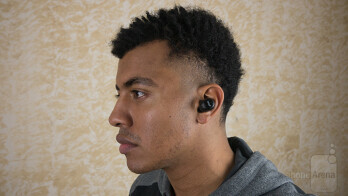 While some wireless earphones can feel extremely obtrusive and borderline painful to wear, the Zolo Liberty+ fits in the ear snugly and comfortably. Because of this, the Liberty+ are well-suited for casual listening for long periods or vigorous workouts, even with earmuffs covering them – a condition that can make other earphones even more painful to wear. Buttons are limited on the Liberty+, but functions are not. 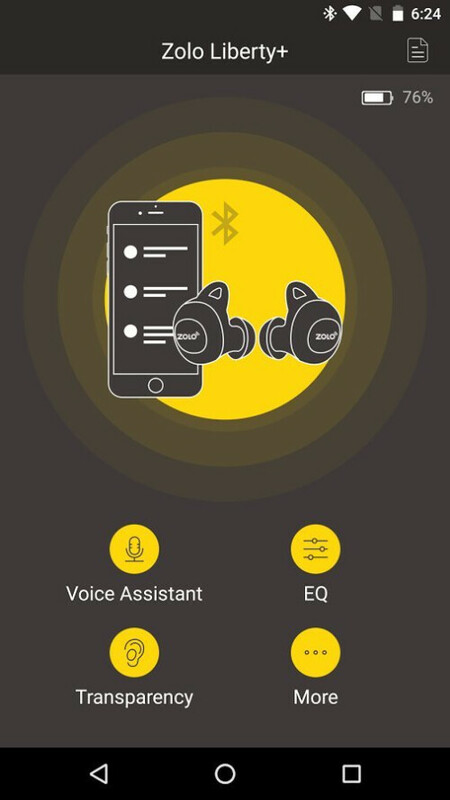 Although only two buttons exist – one on each earbud – pause, play, next song, previous song, voice-assistant-summoning, phone-call-answering, and sound isolation toggle are all in the Liberty+'s repertoire, executed through taps, double-taps, and long presses. 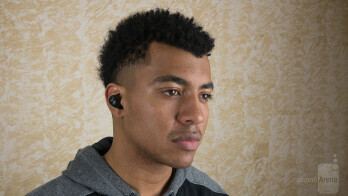 Enabling the Transparency feature turns on the earbuds' microphones, allowing them to pick up noises around you and feed them into your earbuds, keeping you aware of your surroundings. While we appreciate the abundance of the abilities, adjusting volume from the earphones is one we particularly missed. Zolo’s companion app, Zolo Life, keeps things pretty simple as well, offering much of the same functions as those which can be achieved through the Liberty+'s buttons. In the app you'll find a trigger to summon your voice assistant, toggle “Transparency mode”, and an EQ tab. Major fine-tuning won't be found here, but a few presets exist to tweak things. 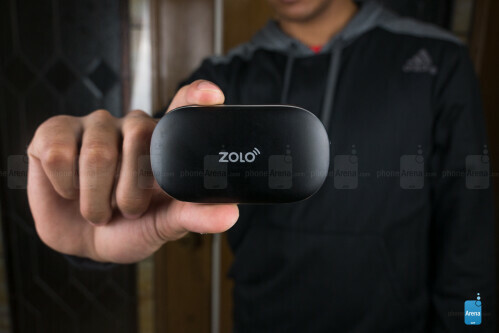 With Bluetooth 5.0 on board, along with advanced antenna technology, the Zolo Liberty+ produces a pretty solid range. Through walls and about 60 feet of distance, we had no issues with the Liberty+ holding a strong connection. We don’t imagine people will often be that far from their devices while using earphones, but this should certainly put to rest any worries about cutting out throughout workouts. Sound quality is pretty good on the Liberty+. Of course, one can’t expect rumbly bass in earbuds like these, but bass is sufficient, and highs are quite clear compared to others we’ve tested. Some earbuds overcompensate for the lack of bass by making the overall sound bassier, which really only serves to make the music, and instruments within, less distinct and therefore less enjoyable. Overall, the sound is well-balanced and pleasant to listen to, but you may find you need to notch down the volume a step or two for certain genres, as the treble can reach near-ear-piercing levels. Unfortunately, as with most truly-wireless earphones, latency issues are apparent when watching videos, so you’ll want to stick to your wired ‘phones for that. Or just use Airpods instead. Rated at 3.5 hours of playback time, we can say quite confidently that this is a realistic measure. We don't anticipate anyone experiencing much variation here, but of course volume and other factors can cut into this. Not to fear, though, as the included case adds a substantial 48 hours to the Liberty+ playback time. Anker has often been a source of high-value audio products, and that trend isn't lost here with the Zolo Liberty+. Sweatproofing, pleasant audio, and a comfortable, snug fit make the Liberty+ an attractive option. If for some reason the Liberty+'s price of $149.99 seems too steep, its own little brother, the $99.99 Zolo Liberty, may be a decent alternative, delivering all the same features minus sound isolation and with Bluetooth 4.2 instead of 5.0. 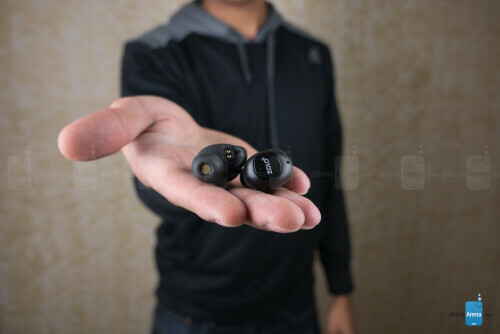 Compared to the $160, casual-listening-oriented Airpods, the Liberty+ is an option for those who also need a good workout companion, especially considering the higher price ($250) and bulkier build of earphones like the Jabra Elite Sport. The Liberty+ might just be the right compromise.